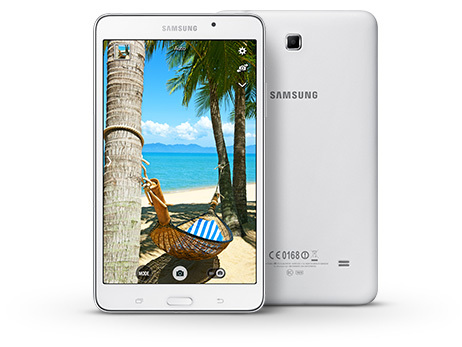 Samsung Galaxy Tab 4 - 7" - 8GB: Juggle tasks at work and enjoy movies at home with a tablet that is portable enough for your commute and powerful enough to keep up with your busy schedule. 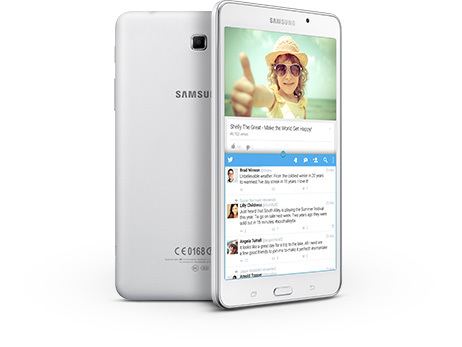 The quad-core processor provides quick performance that your entire family will enjoy. 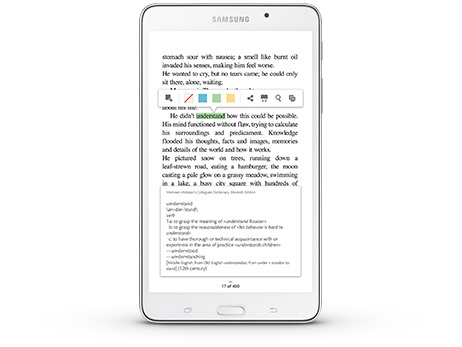 NOOK’s award-winning reading experience, integrated with leading edge technology, which means you can connect to the world when you need to, and escape from it when you want. Front- and rear-facing cameras let you take and share pictures or chat with family, while the built-in GPS enables location-based apps to give you helpful information when you need it most. 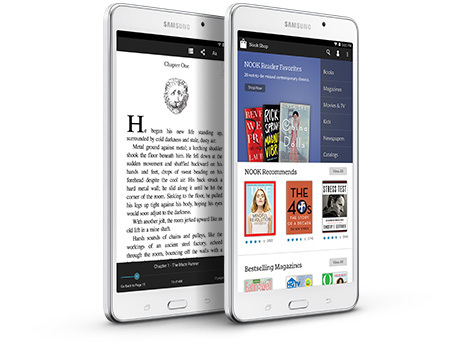 With years of bookselling experience, NOOK offers you more than just a great tablet. You'll get personalized recommendations and exclusively curated collections, plus an amazing array of interactive kids' books, learning apps & more. Thousands of movies are available on NOOK Video™, along with single episodes and full seasons of top TV shows. Preview any title free, then rent or buy and watch instantly. 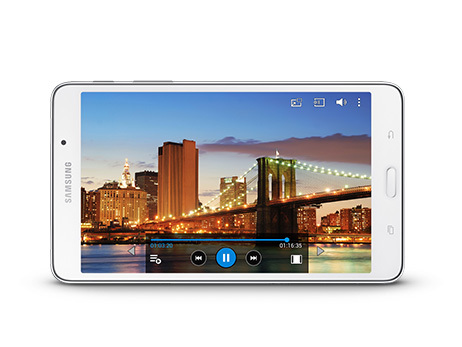 Watch your movies come to life and take your games to the next level on the 7.0" display. You can also browse online, flip through magazines and read books. With so many options, so there’s always a way to lose yourself in something exciting. Now you can take more of your music, photos, movies and games with you, using a microSD™ card that lets you expand your tablet’s memory up to 32GB.